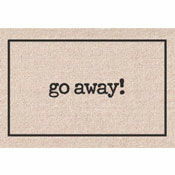 Order your funny welcome mats today and make a statement before your guests even walk into the door. 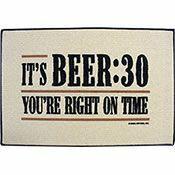 Whether you are looking for funny doormats with dogs, beer and wine lover's gifts, welcome mats for your hobby, or a just a fun doormat to welcome you, we have many options. 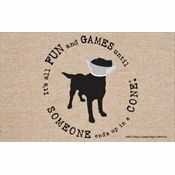 These funny welcome mats also make great gifts, and with flat rate shipping, they are affordable too! Order one for you, your neighbor, or a friend today! Don't forget to check out our Just for Kicks category with hilarious t-shirts and funny drink coasters! Humorous welcome mats. From GO AWAY to pet themes and beer humor. 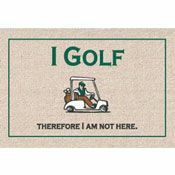 A funny welcome mat makes a great gift.